For the longest time I hated Ambre Fétiche with a passion, it was my nemesis, the most unwearable amber I knew. The strong feelings stemmed from the fact that for one everybody seemed to love it and perceive it entirely differently then I did, and what is more, from the fact that I am the proud owner of a full 100ml bottle of said hated fragrance that came to be in my possession, because I am prone to stupid, impulsive, unsniffed buys, or rather have been, because those times are over. But that bottle is unopened and untouched, since I received a sample of this perfume before it arrived, I took one whiff from that sample and was thoroughly put off. I tried several times and was nothing short of disgusted with the scent everyone raved about. But my dear friend Dee persisted and sent me a decant from her bottle, because I had suggested that maybe my sample was off or mislabeled, since I saw it so differently from everyone else. And – you already guess it – I loved Dee’s Ambre Fétiche. My god-awful sample was mislabeled, I don’t know what is in it (would be interesting though! ), but I am so glad it is not Ambre Fétiche. So, after a long journey that turned out to have been with the wrong fragrance, I arrived to worship at the amber altar that is Ambre Fétiche. It was was released in 2007 and created by Goutal in-house perfumer Isabelle Doyen, as part of a three perfume collection called Les Orientalistes, also featuring Myrrhe Ardente and Encens Flamboyant, which in the meantime includes a fourth, Musc Nomade. Notes include amber, frankincense, labdanum, styrax, benzoin, iris, vanilla and leather. Ambre Fétiche is not at all sweet, an important point with me, and it opens rather voluptuously and fiercely with a blast of incense, iris and amber that doesn’t leave any room for doubt what this perfume is about. Strangely though it is not too much at any time. No shy flower, for sure, it manages to proclaim its AMBER-ness in a clear voice without having to resort to shouting. It is mostly linear although there is a softening sensation after that initial entrance of the star ingredient. It has excellent lasting power and stays on the skin, albeit closely, for the entire day. Ambre Fétiche makes me feel very daring, since it is so far from my normal soft, flowery or cologne-style unobtrusive self. But I find myself gravitating towards more sensual scents at the moment, maybe as a counter-movement to the mass of (often disappointing) summer fragrances I have been testing for the blog, maybe because of the interesting and unexpected, slightly Janus-headed facet such a perfume gives me. I look so innocent, a blonde mom pushing a stroller in flat ballerinas and a trench coat and I smell, well NOT like that mom should or is expected to. That seems to induce an element of surprise or even confusion in some that I rather enjoy. Image source: beautyspion.de, vintageadbrowser.com, some rights reserved, thank you! This entry was posted in Amber, Annick Goutal, Fragrance Reviews, Oriental and tagged Amber, Annick Goutal, Fragrance, Isabelle Doyen, Perfume, Review. Bookmark the permalink. Yeah, I know how it is when everybody loves something, whilst on you (me) it is Not Good At All. Like with me and POTL. It lasts very well, at least six hours, probably longer. The iris is nothing to be afraid of here (if ever), it is very well blended. 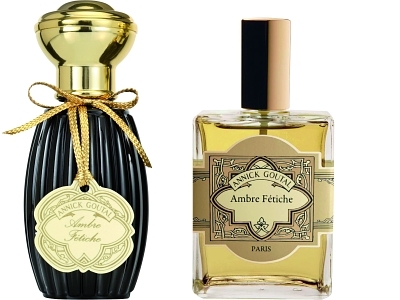 Ambre Fetiche is certainly no representative of the “typical” Goutal in my opinion. Generally the line is famous for its light and lovely creations with a twist. Matin d’Orage or Ninfeo Mio come to mind, as well as the soliflores. The Orientalistes is certainly a bit of a departure from the usual for Goutal, but a great one. Thanks, Dee, I love that description! I tend to get on well with mink-coat kinds of fragrances so will definitely give this one a shot. There was a poll on NST a while back, which asked, What perfume(s) do you think will stand the test of time, and be around for another 50 or 100 years?, and my answer was the Les Orientalistes collection. I really believe that to be true. Especially with Ambre Fetiche; it’s ancient and it’s modern, it’s authentically “gender” neutral, and it smells FANTASTIC! For most of my life, I’ve been positively terrified of amber. Too much, too heavy, too heady, too…too! No thank you. I’ll stick to my green/chypre/not-overly flowery scents if you please and just leave it at that. My relationship with amber anything was like pouring Amaretto in a perfect dry Martini – it made me green to even contemplate! So it was strange days indeed when I came across my first ever niche and my first ever niche scent – Ambre Sultan, no less! – and had a total OM(F)G! moment. Due to either age, encroaching senility or just a kick to my own perfume boundaries, I’ve grown to very much like them. In the case of AS, it’s more of an obsession, but that’s another story. I’ve only tried Eau de Hadrian from AG, so I’m in no position to say much about Ambre Fetiche. There are good ambers, bad ambers and not a few Tales from the Crypt of Horror ambers. One amber I did try was Ambre Narguile. I managed to get away before I was eaten alive – just! But it could have been that tester. It could have been the day. It could have been mood or anything else – but you never know when one day, a lightning bolt fromn the blue strikes and – you totally GET it – that mink coat in the closet aspect – the “it’s so NOT me, which makes it utterly…me!”. You never know when love might strike! Or amber! As usual, you all have spoken so eloquently I shouldn’t bother with my two cents! When you fin out what’s in that mislabled sample, let us know! I’m dead curious. How nice to hear it was AF that was your ticket into Perfumeland, it is indeed addictive. I will certainly let you know if I ever find out what was in my sample, but it is not going to be easy finding out. You are so right, Gisela! Perfume is the easiest and best way to dress up and change who you are just a little. That is what makes it so great! 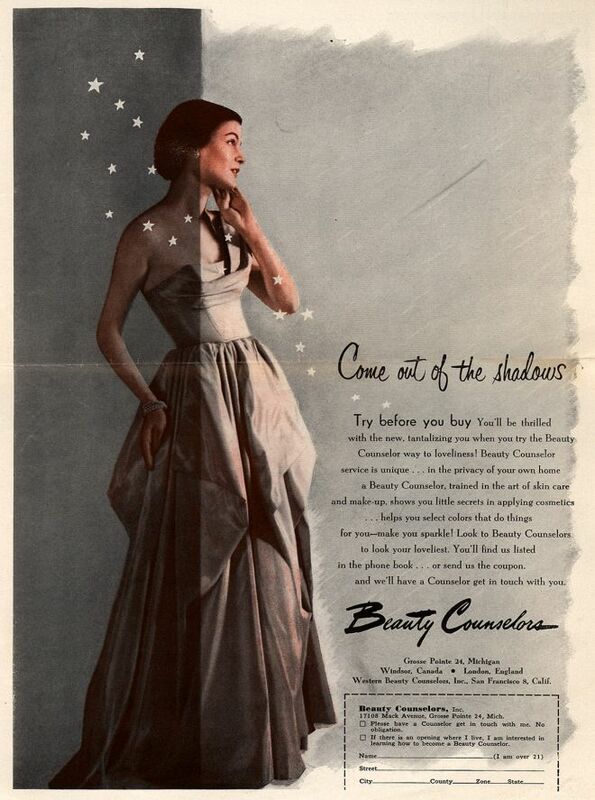 What is your favorite “dressy” perfume? I love how the leather wears on me. That alone makes it an amber worth owning. Olfactoria, thank you for the review (and Dee – thank you for your persistance) – I will try this perfume (and probably the rest of Les Orientalistes collection). So far my statistics on the line aren’t too favorable: I absolutely love (100+ used up and replenished ml speak to that) Petite Cherie, like (but not enough to go beyond a sample vial) Eau d’Hadrien, hoped to love but ended up strongly disliking Quel Amour! and Ninfeo Mio (though the latter one still has a chance, I’ll try it again when it’s warmer) and I’m very disappointed by having a very powerful adverse reaction to Le Mimosa. Les Orientalistes are truly a different pair of shoes from the rest of the Goutal perfumes. Maybe you would like Vanille Exquise a very interesting vanilla scent? Don’t be discouraged by my opinion! *jen from This Blog Really Stinks had a great time with Le Mimosa (her review was published in the end of February or you can find a link to it in my post about mimosa perfumes – it might be easier to navigate since I do not have too many posts). Anyway, after you try it please let me know if you liked it – I’m curious. A shot of amber, and it is fetiche… I had to wear it. And I like it.